A-HOTEL.com - Luxury and cheap accommodation in Prigibskiy, Russia. Prices and hotel, apartment booking in Prigibskiy and surrounding. Providing free WiFi, Guesthouse on Cherneckogo 24 is situated in Primorsko-Akhtarsk. Boasting a shared kitchen, this property also provides guests with a children's playground. House on Chernetskogo is set in Primorsko-Akhtarsk. This apartment features a terrace. Hotel Marisol features free WiFi and views of sea in Primorsko-Akhtarsk. All rooms feature a flat-screen TV with cable channels and a private bathroom. Pervomayskaya 8 features free WiFi and rooms with air conditioning in Primorsko-Akhtarsk. All rooms boast a flat-screen TV with cable channels and a private bathroom. Set in Primorsko-Akhtarsk, Guesthouse na Mira 91 has barbecue facilities and terrace. Free WiFi is provided. Situated in Primorsko-Akhtarsk, гостевой домик offers a garden. Both private parking and free WiFi are accessible at the guest house. Ahtarskij Dvorik features barbecue facilities, as well as accommodation with free WiFi and a kitchen in Primorsko-Akhtarsk. Every unit features a private bathroom and shower, air conditioning, a flat-screen TV and a microwave. Guest House on 50 let Oktyabrya features free WiFi and views of city in Primorsko-Akhtarsk. The accommodation provides a shuttle service, while a bicycle rental service is also available. 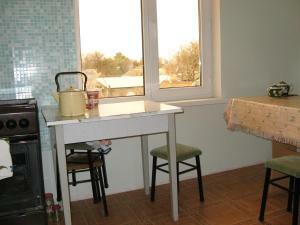 Situated in Primorsko-Akhtarsk, Apartments Viktoriia provides accommodation with free WiFi. Every unit features a private bathroom and shower, air conditioning, a flat-screen TV and a fridge. Sari-Yal features rooms in Primorsko-Akhtarsk. Featuring room service, this property also provides guests with a terrace. Featuring a private beach on the Sea of Azov, this hotel in Primorsko Akhtarsk has striking architecture with high ceilings and large windows. A beach restaurant and water sports facilities are available. Boasting barbecue facilities and free WiFi, Guesthouse Yasenskaya Kosa is situated in Morozovskiy. Featuring a shared kitchen, this property also provides guests with a children's playground. Set in Trud, Holiday home Gregory Club offers a seasonal outdoor swimming pool and free WiFi. The property features barbecue facilities, as well as a garden.